Worldwide. A member of the chalcedony family (micro-crystalline quartz). 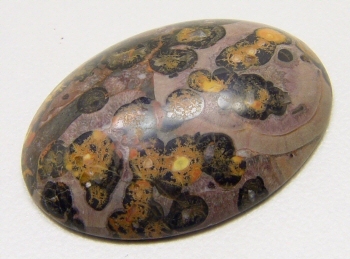 Light brown spotted with darker areas, looking like a spotted leopard. 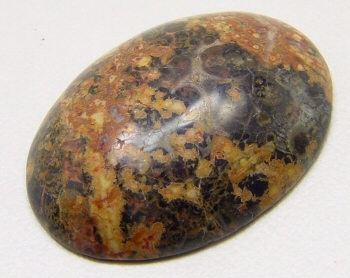 Leopard jasper is not enhanced. 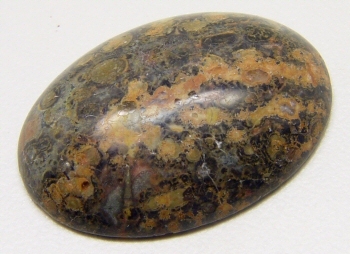 Leopard Jasper is a member of the Jasper gemstone family. With areas of black, gray and brown. 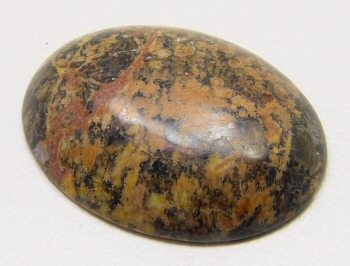 With areas of black, yellow, rust, grey and brown. With areas of black, yellow, grey and brown. With areas of lighter gray and red orange. 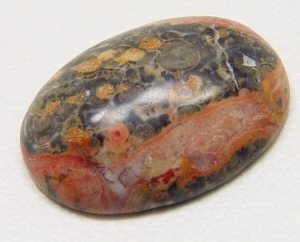 With areas of darker and lighter gray and red orange. 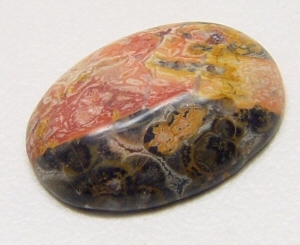 A Opaque, extremely varied in color, with spots of various colors, good cut, good cut.